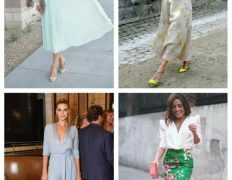 It’s summer and it’s time turn on the brights! 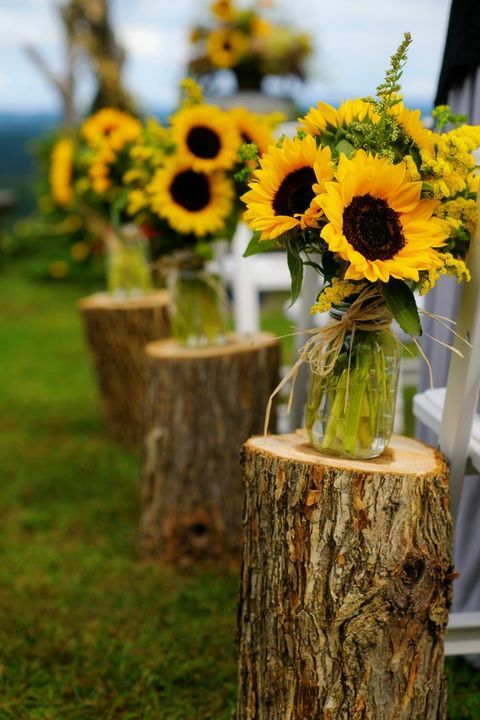 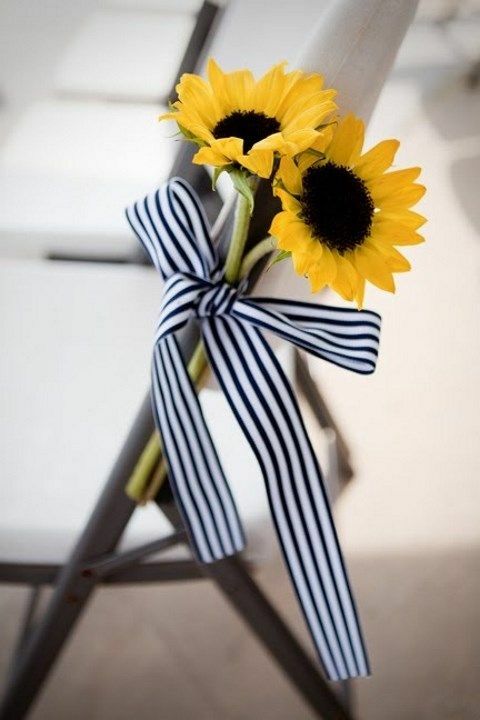 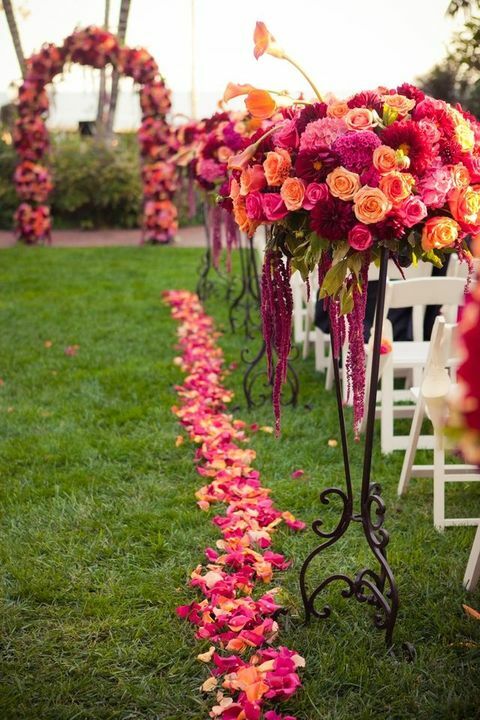 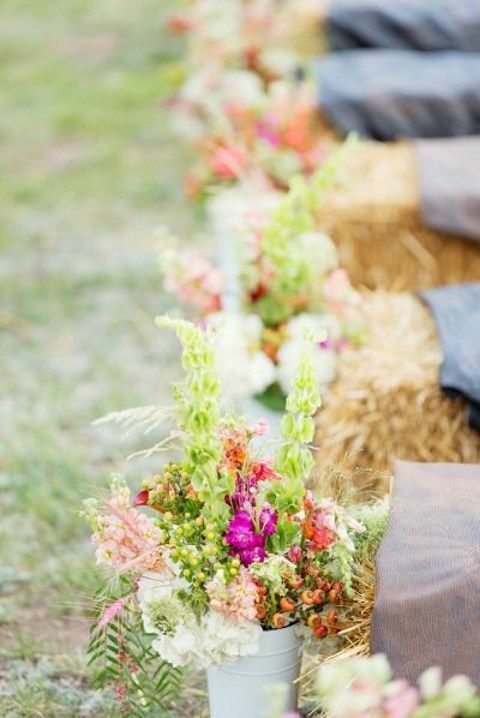 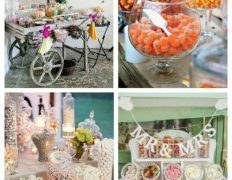 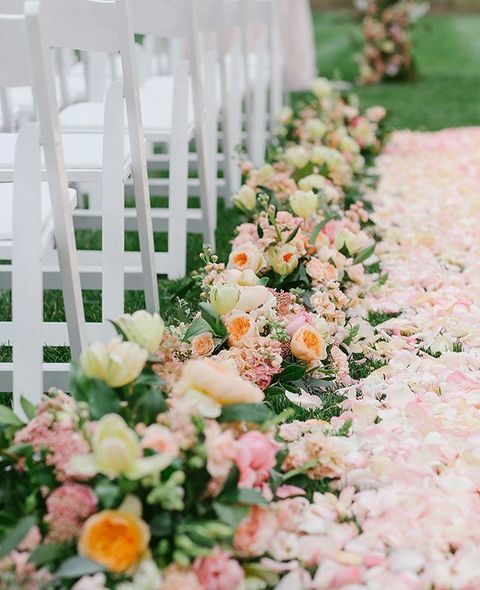 If you are having a summer wedding, go for a bright wedding aisle – don’t hesitate to rock bold flowers, ribbon and petals! 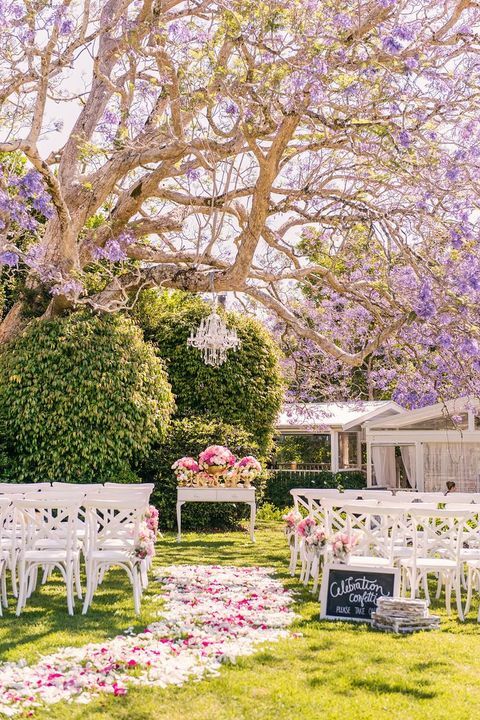 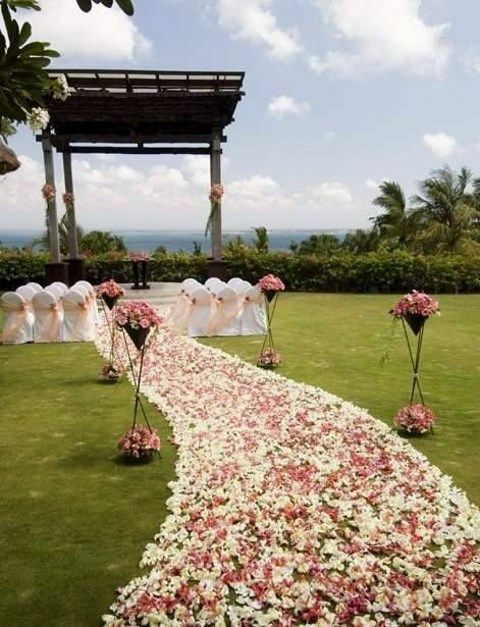 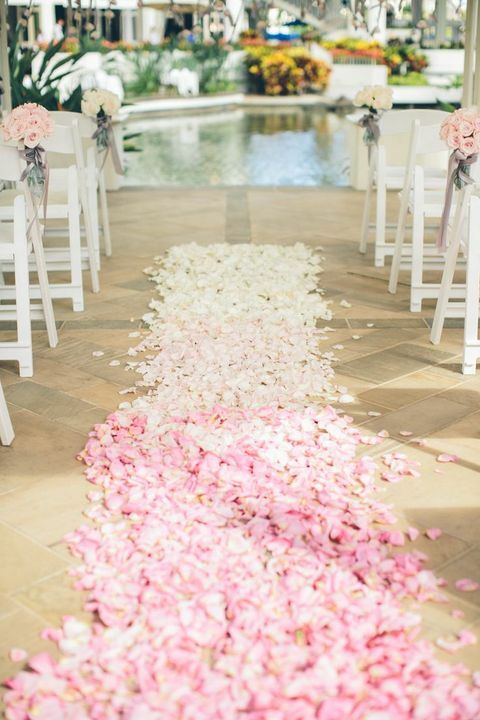 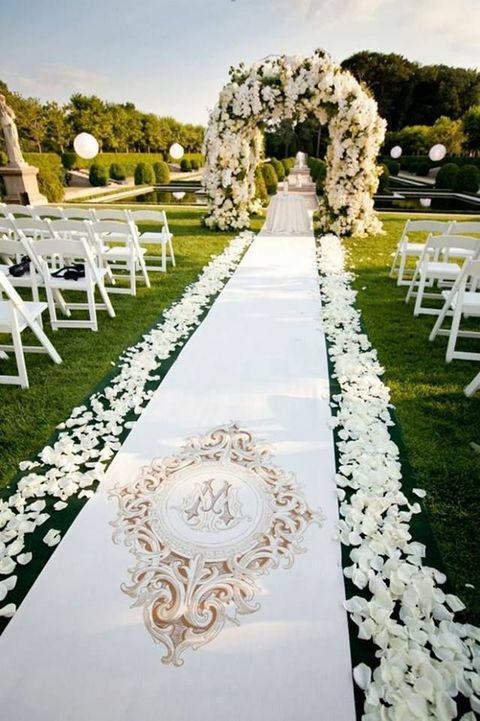 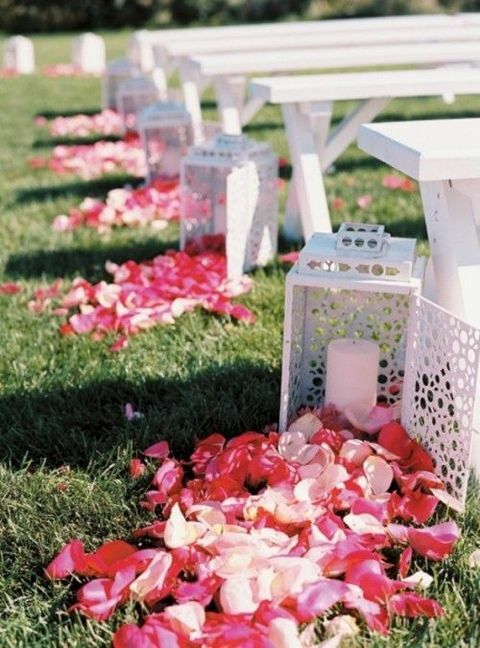 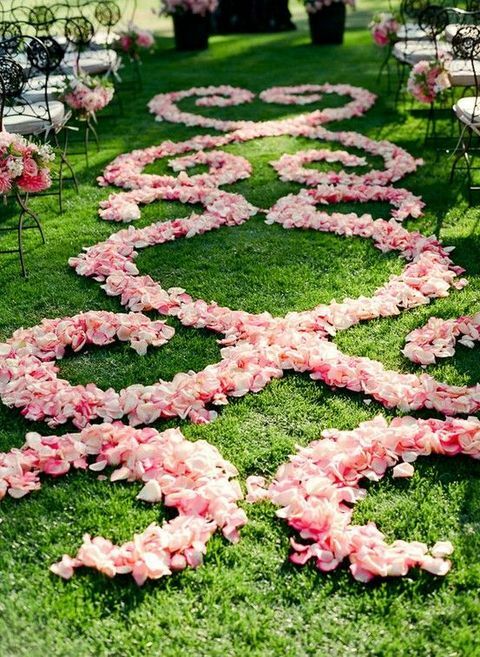 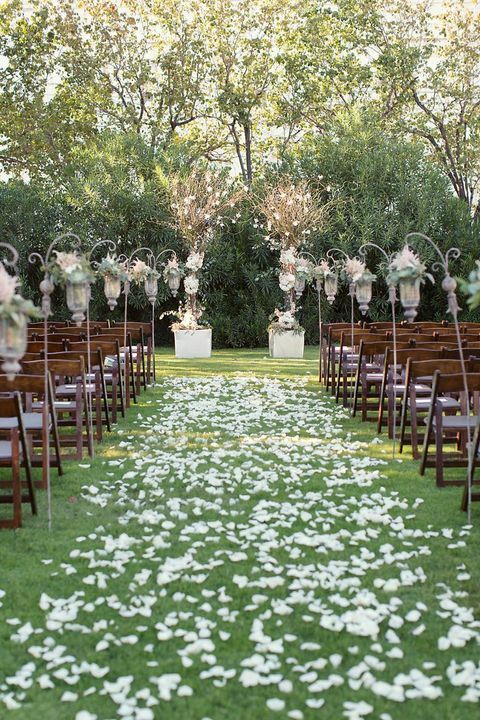 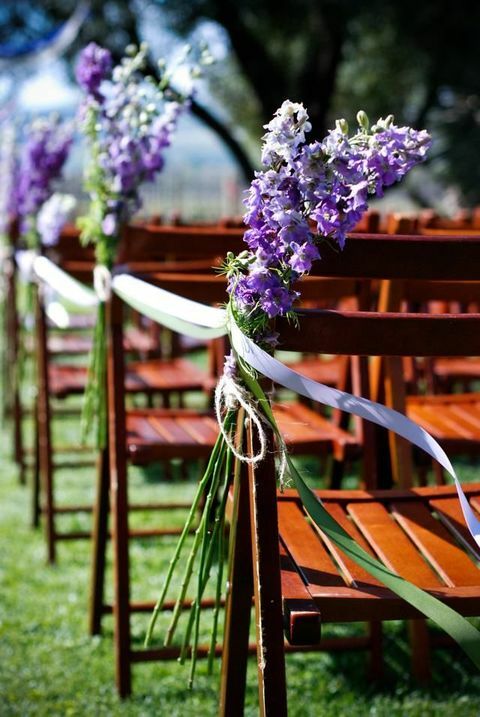 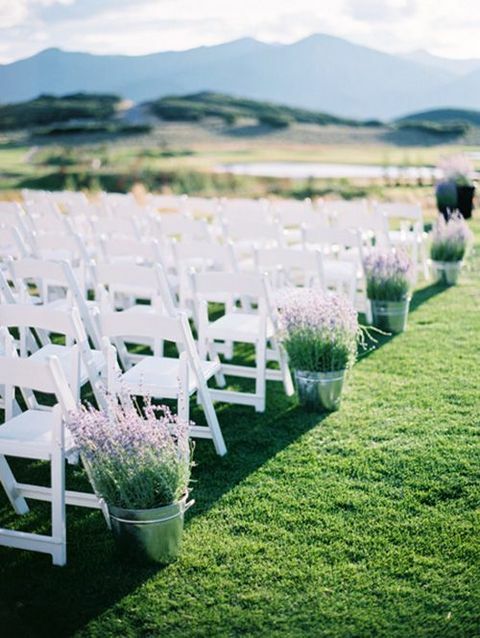 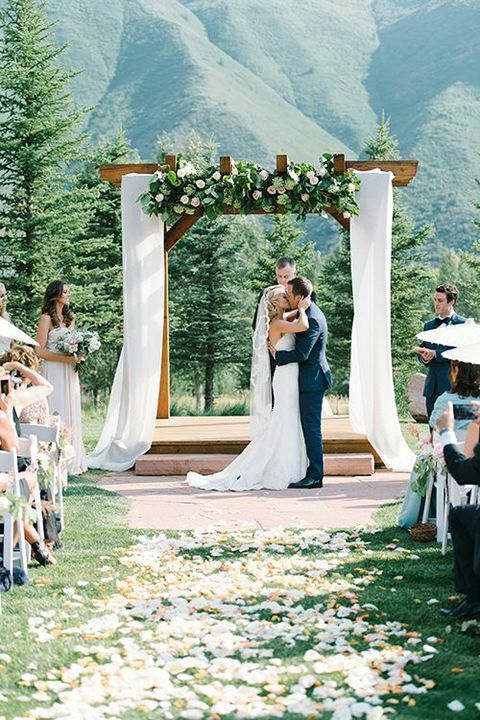 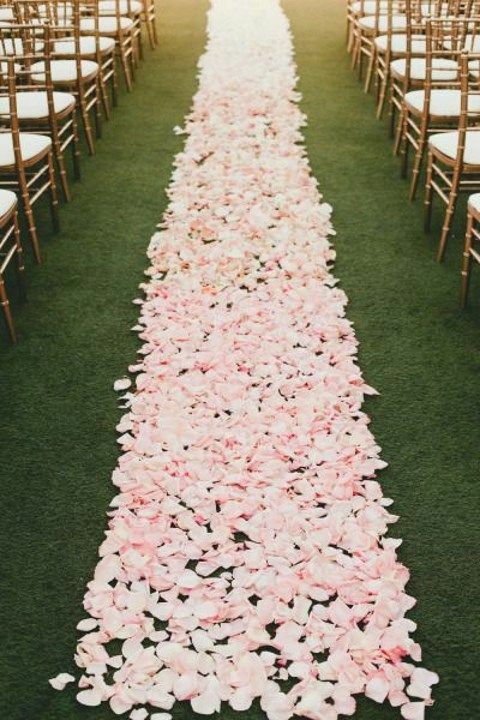 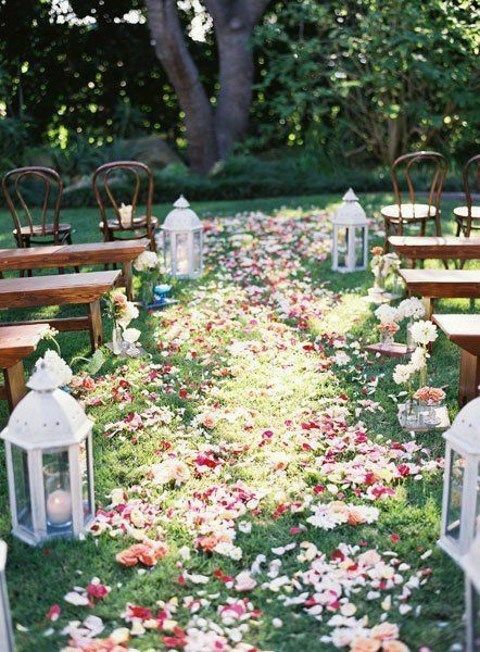 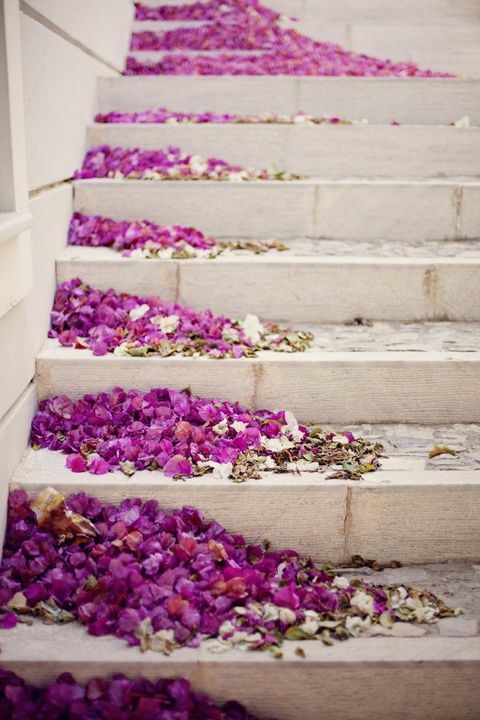 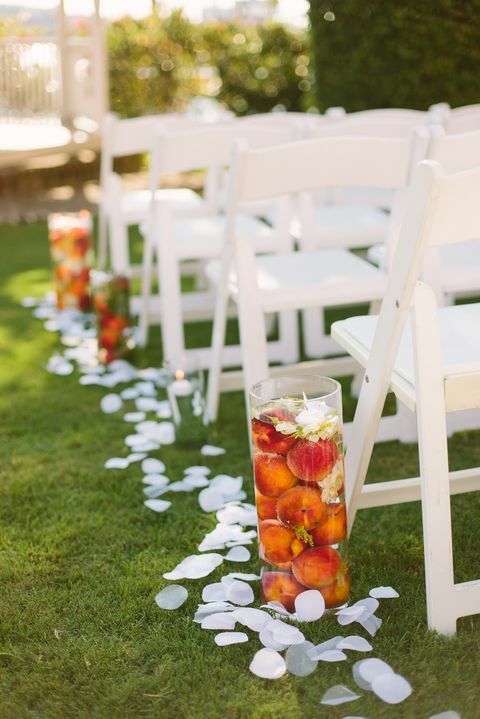 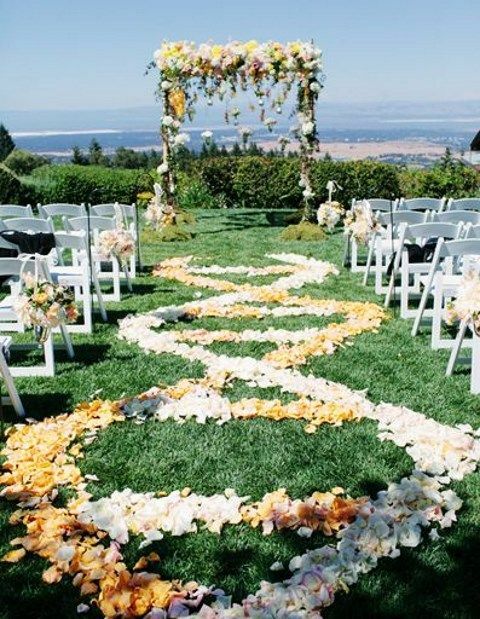 If you are having a garden summer wedding, I think that petals on your aisle are a must, no matter if they are natural or silk. 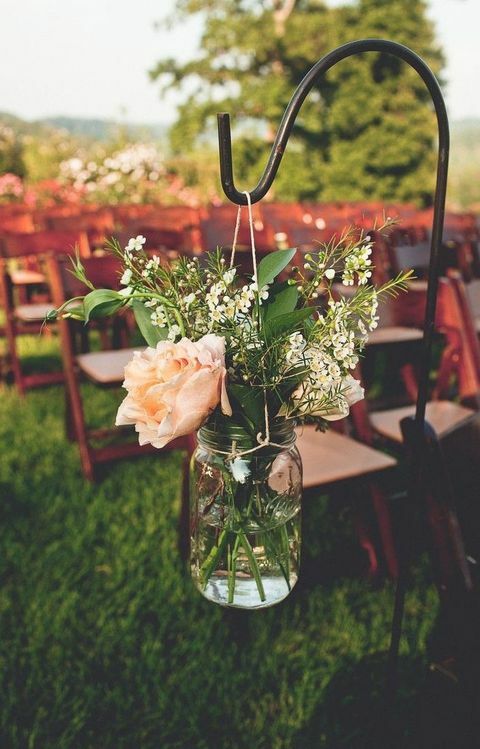 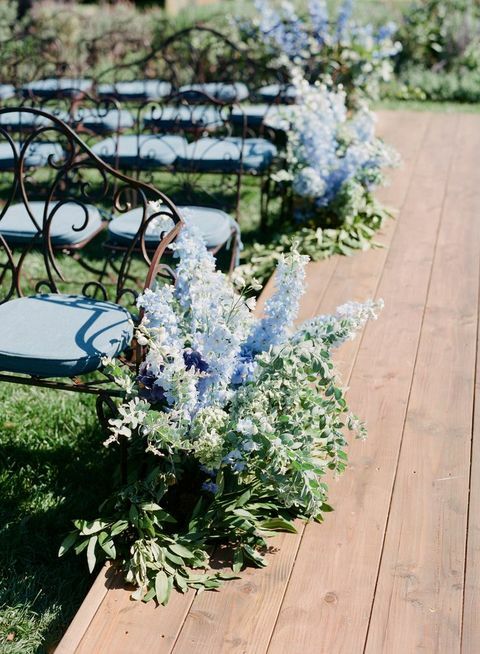 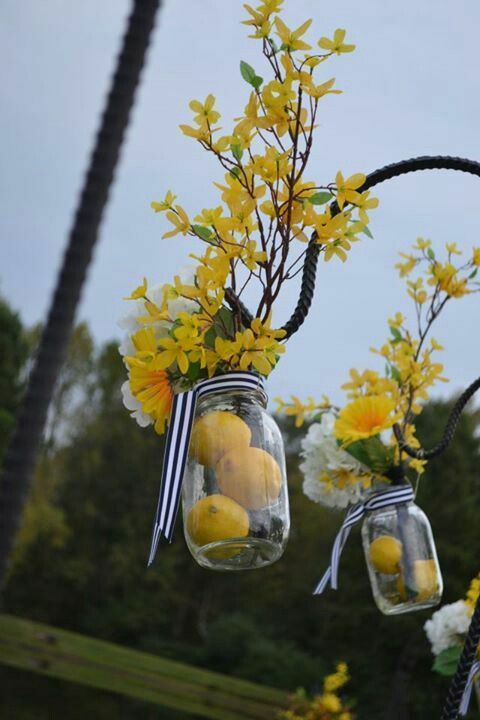 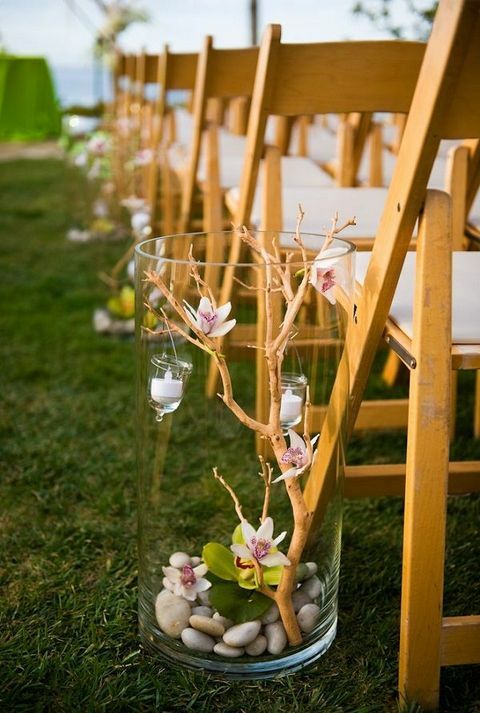 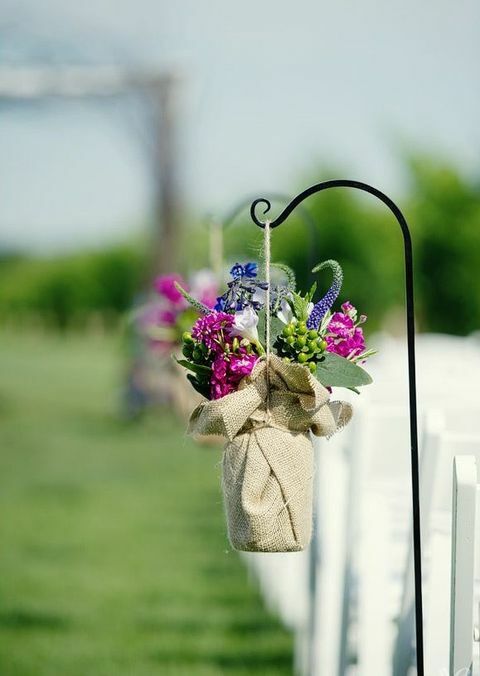 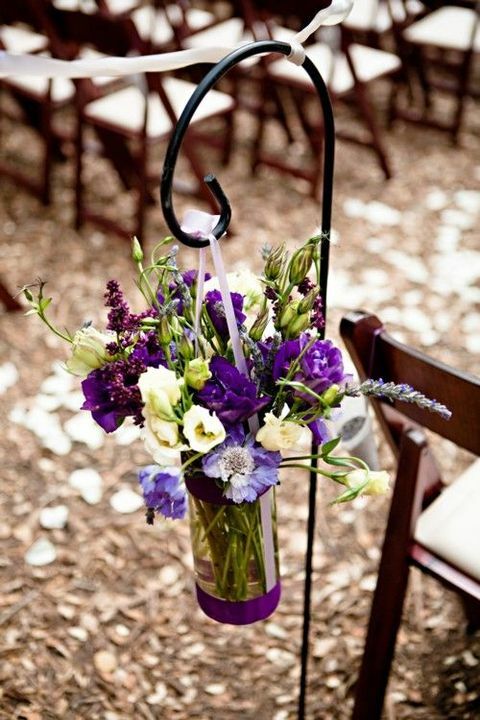 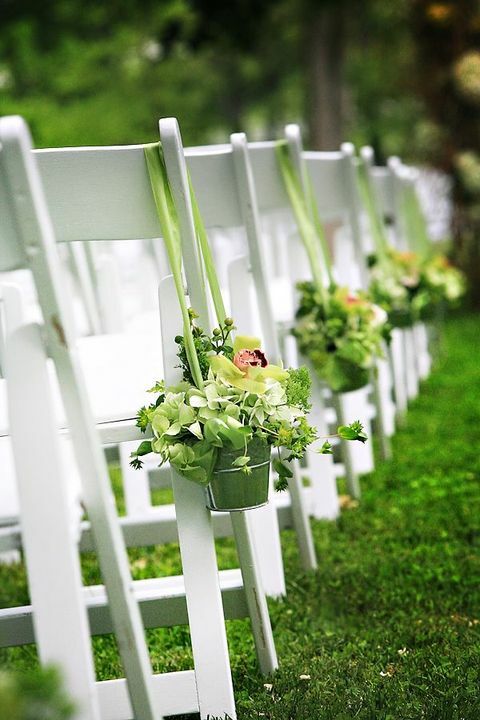 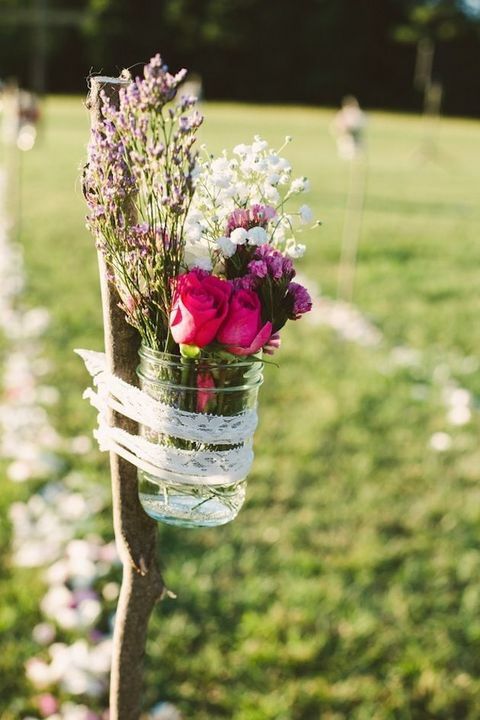 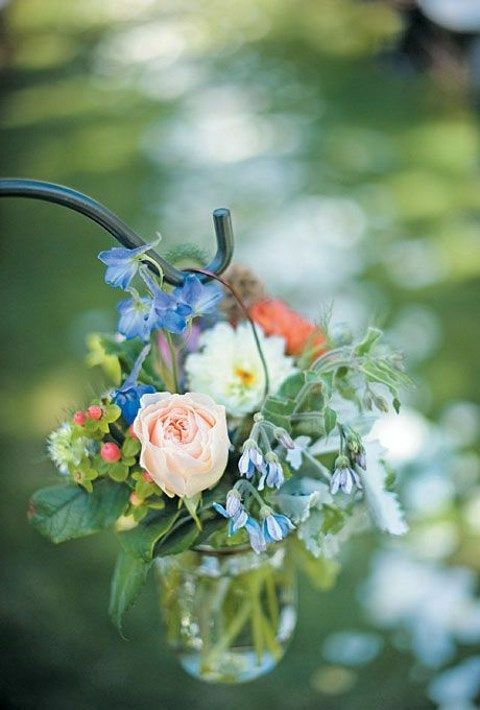 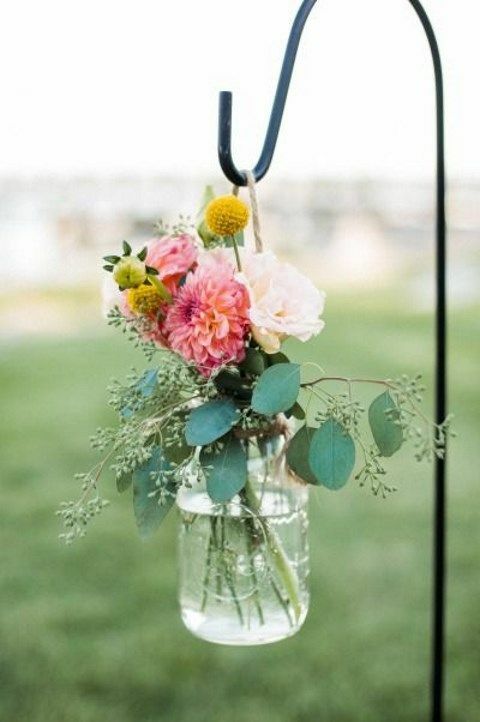 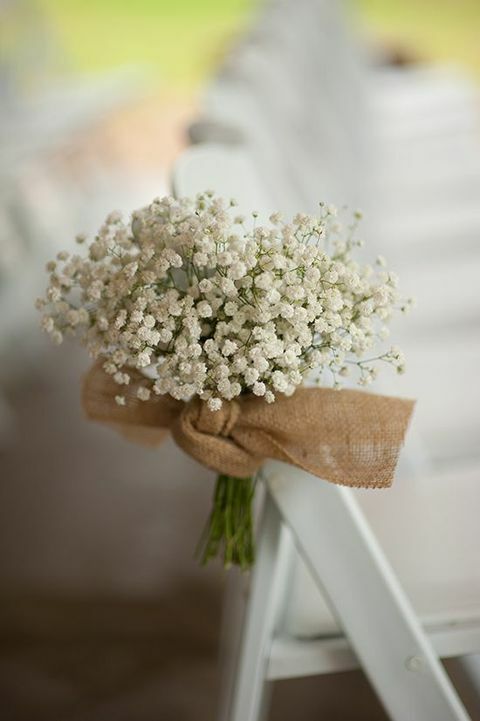 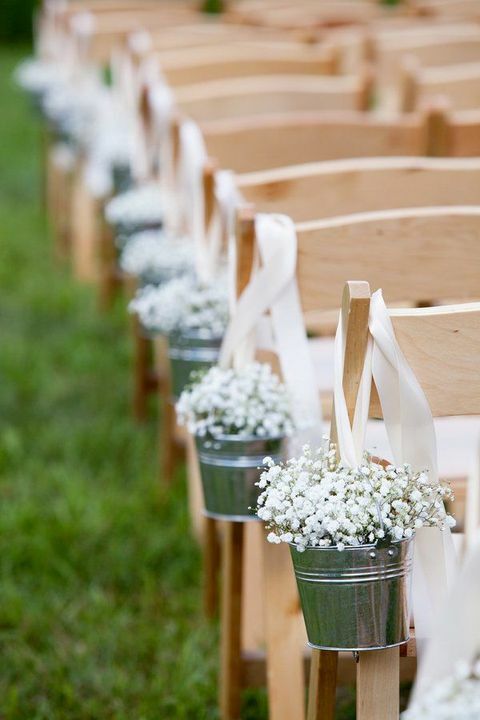 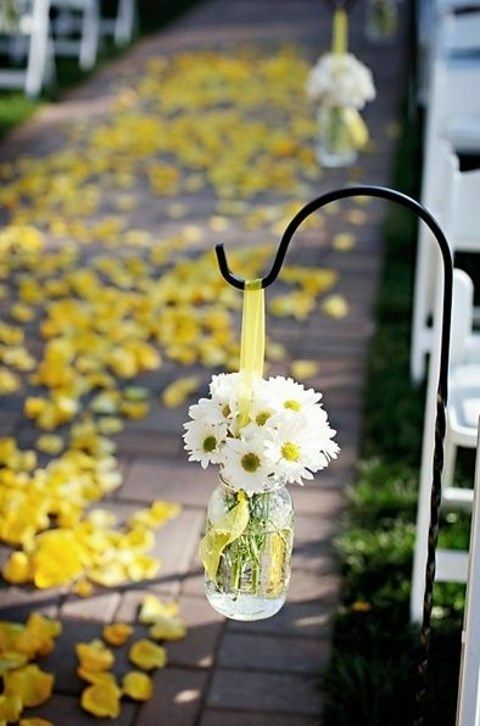 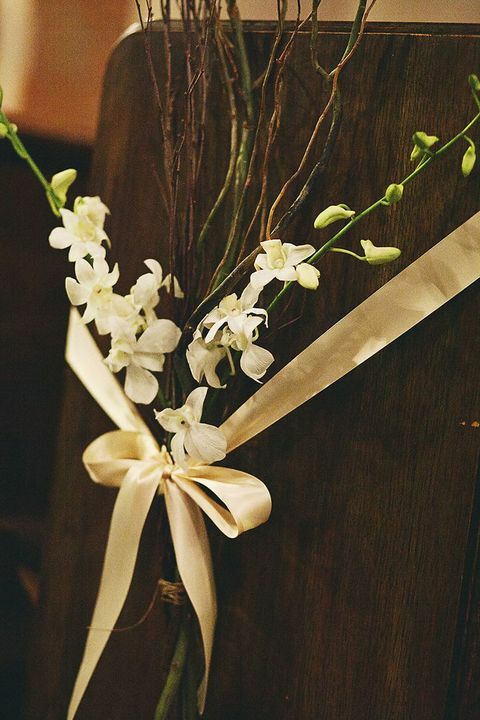 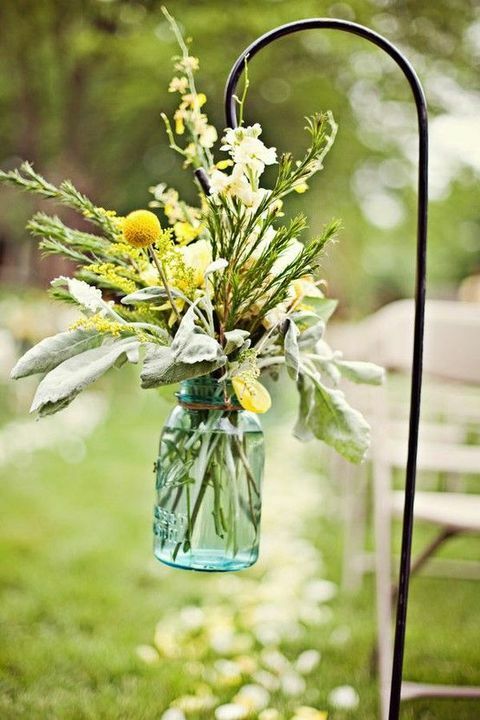 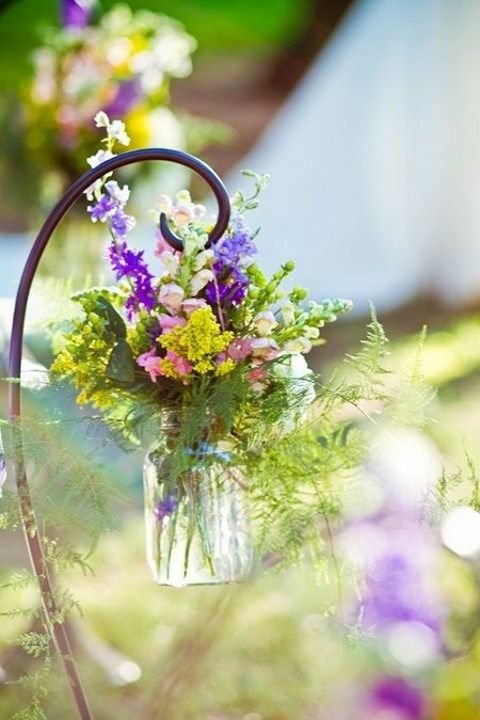 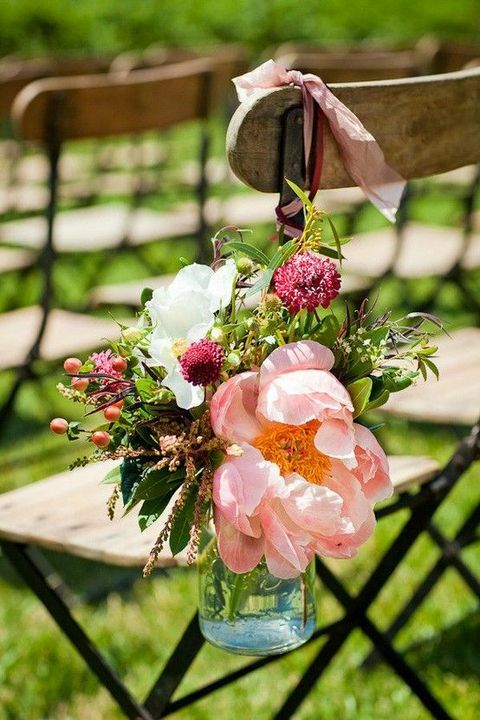 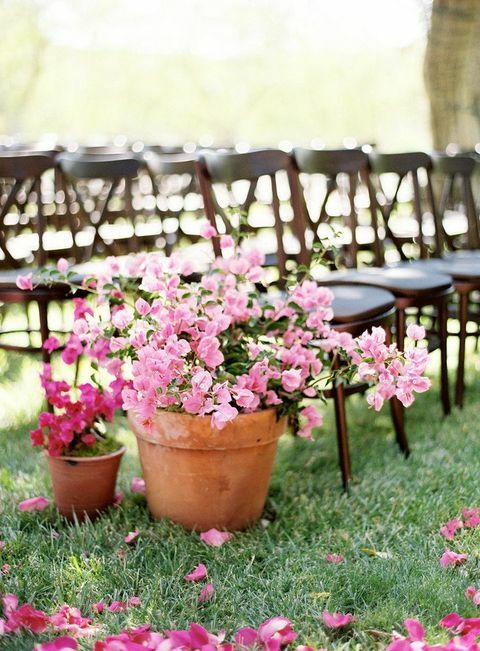 Greenery, leaves, bright flowers in jars, buckets or cones will make your summer aisle awesome! 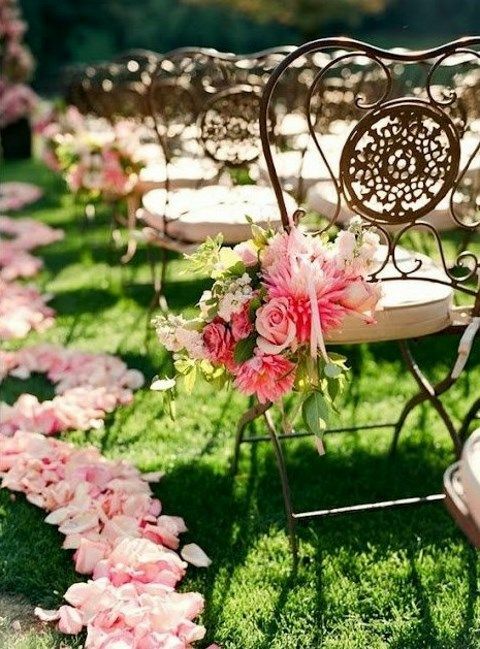 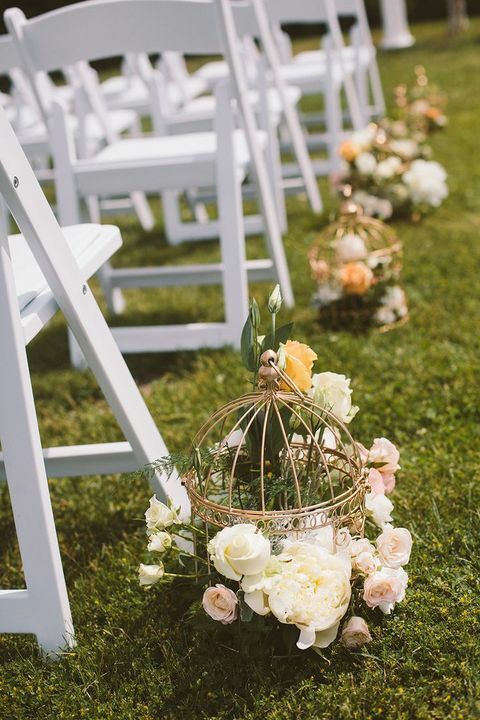 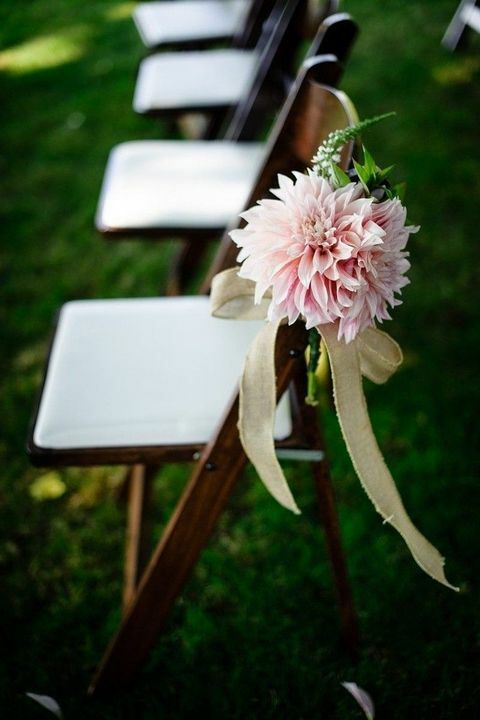 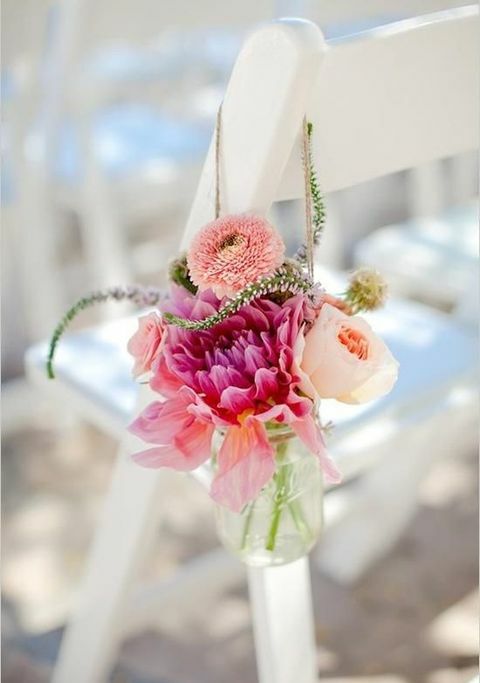 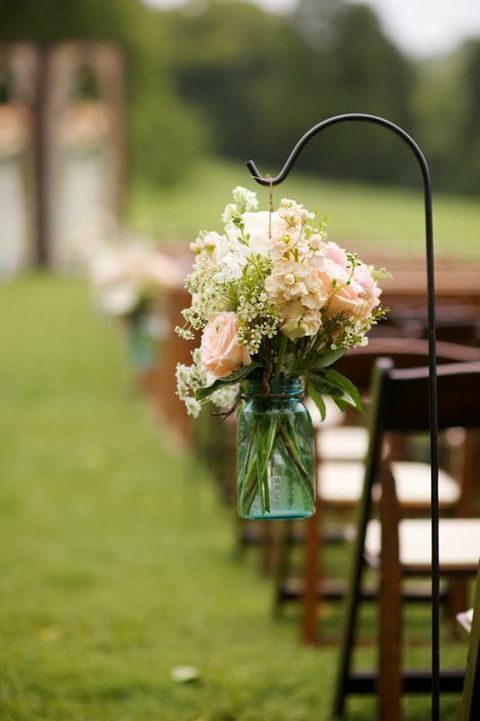 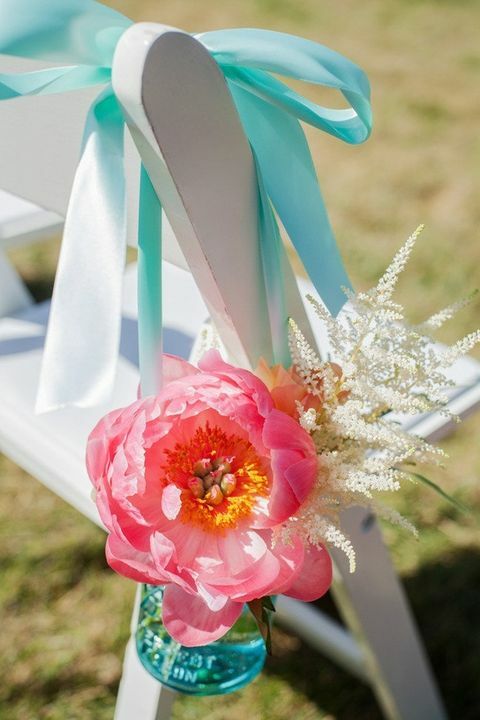 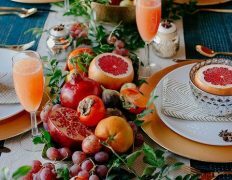 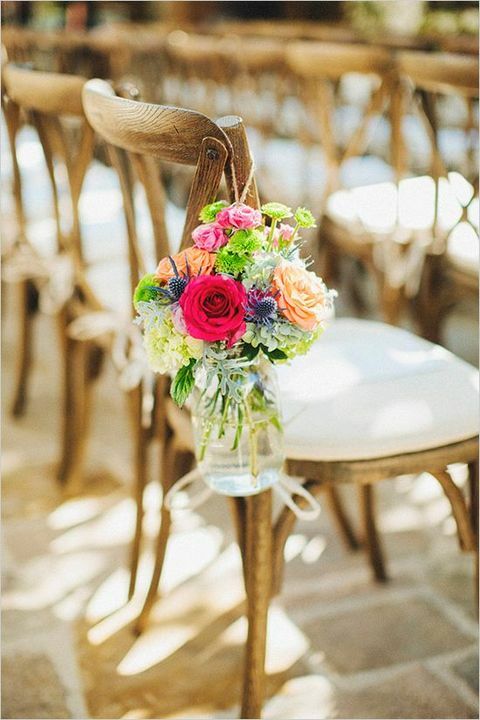 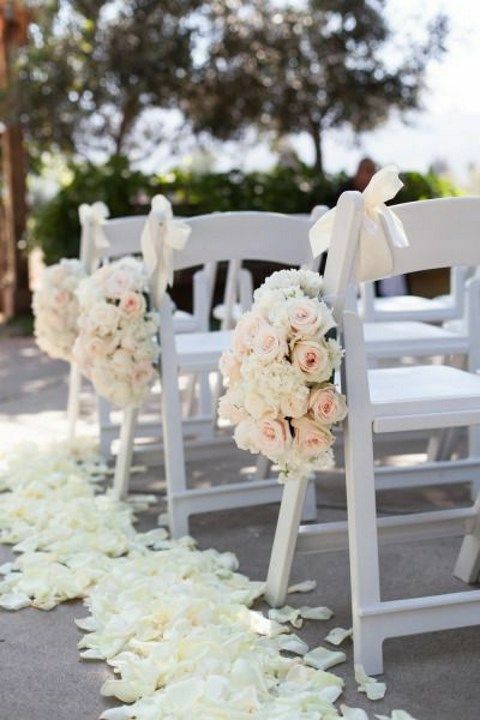 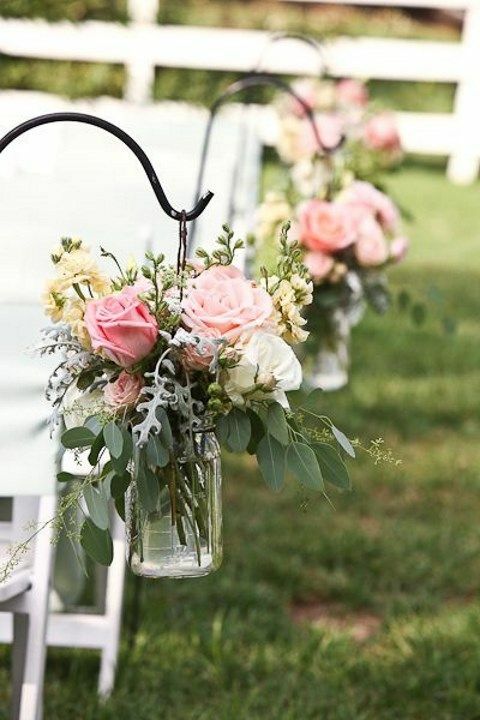 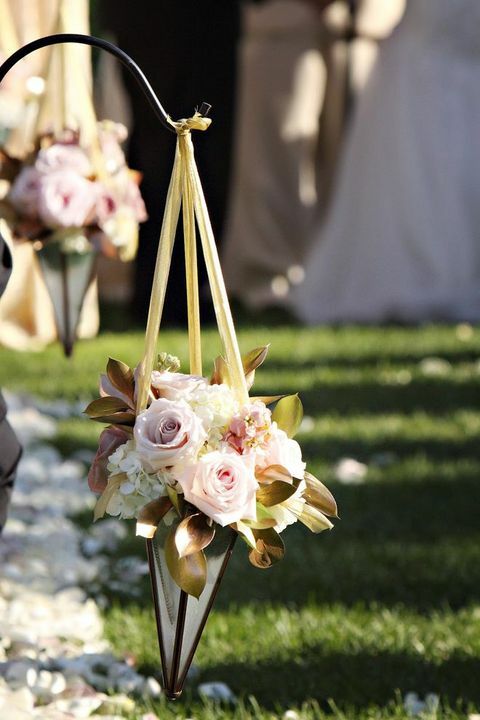 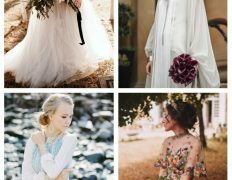 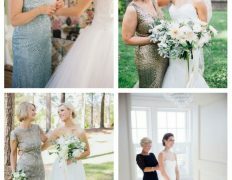 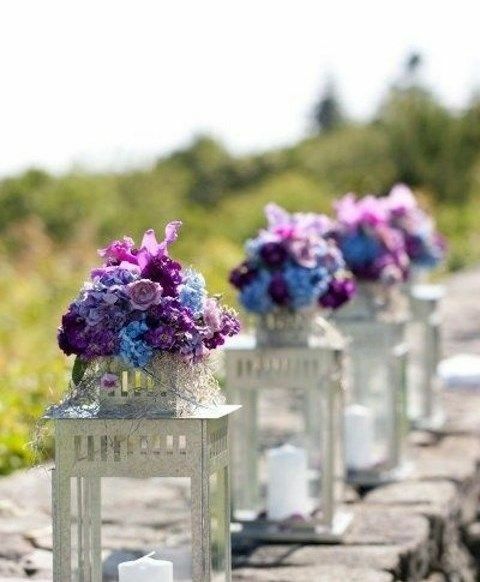 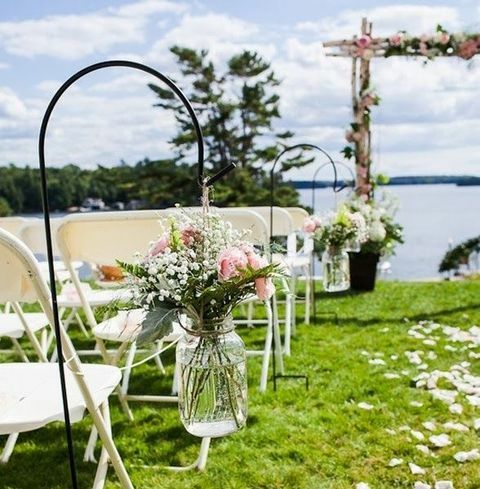 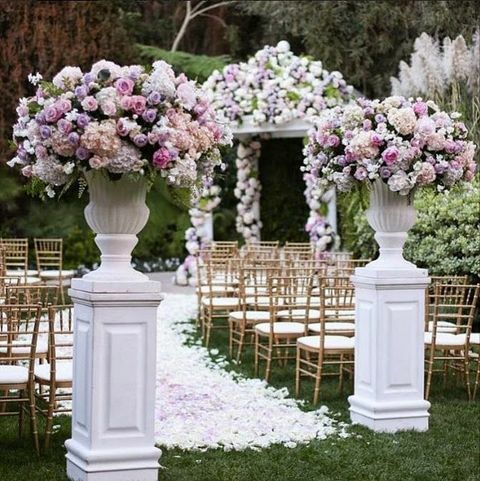 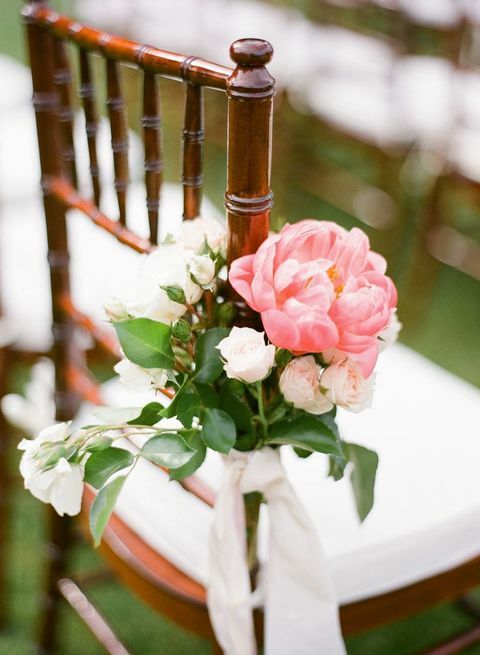 If you are looking for something more romantic, then go for pastels: dusky blue or blush petals and flowers will look no less amazing than bright ones. 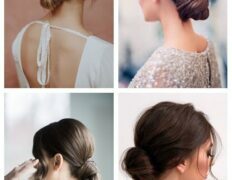 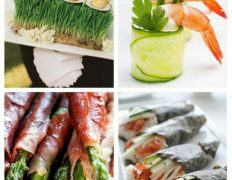 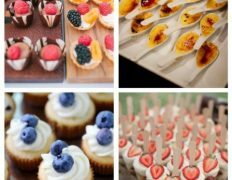 Look at the inspiring ideas below!